Autumn has just begun, which means we’re going to see a lot more rain. 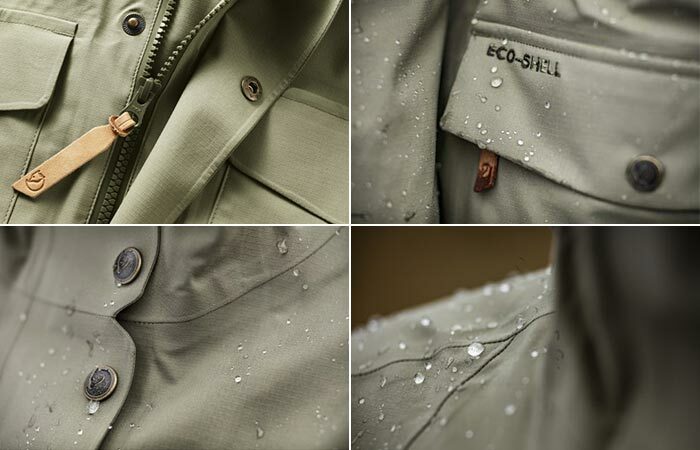 With a classic military style in mind, Fjallraven Ovik Eco Shell Jacket is designed to handle the rain. No matter if you’re walking the city streets or taking a hike, this timeless jacket will serve its purpose and still make you look fashionable. 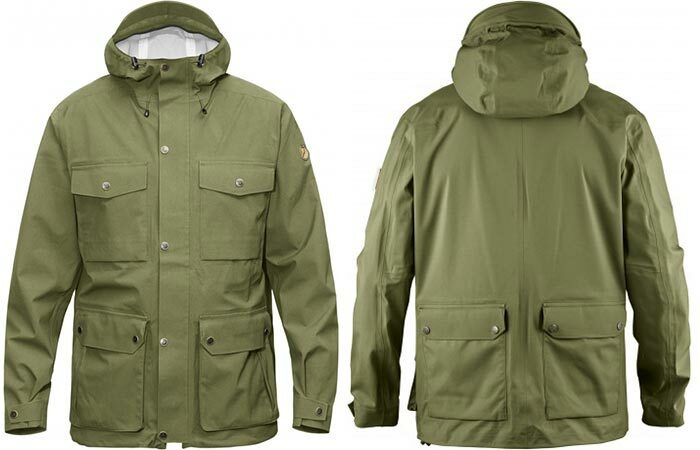 Fjallraven Ovik Eco Shell Jacket is great for changeable weather and persistent showers. It features durable three-layer eco-shell that’s lightweight and has great ventilation. The two-way zipper additionally helps with ventilation since it releases excess warmth but keeps the cold air from getting inside the jacket. Fjallraven Ovik Eco Shell Jacket is great for all types of weather conditions. This jacket also has a lot of storage capacity. It has four big pockets at the front and two more at the back of the jacket. The pockets are spacious and some have openings from the sides, great for putting your hands in to warm them up. Not to forget two inside mesh pockets with zippers. In addition to three-layer eco-shell, it features spacious pockets and a two-way zipper. You can adjust the hood and it has a nice laminated brim so the rain doesn’t get in your face. The hem and sleeve cuffs are also adjustable. You can get Fjallraven Ovik Eco Shell Jacket in three colors- black, dark olive and green.